Our fleet of salting lorries are on stand-by for snow or ice – to keep the roads clear and keep the borough moving. We also have a snow plough ready to clear roads, while the street cleansing team will do their best to keep pavements and bridges as clear as possible in the cold weather. When Havering’s hit with severe cold weather, as many roads as possible will be salted, with priority given to bus routes and other major roads. 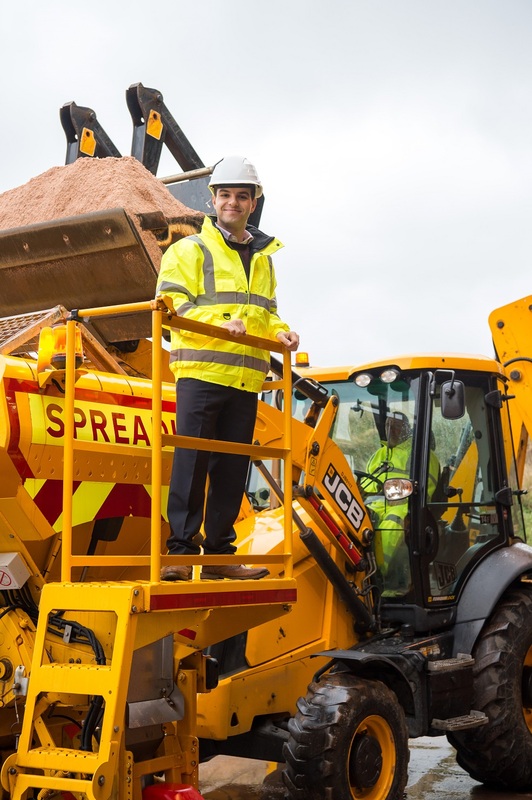 A dedicated gritter will also be sent out to ensure all access routes to schools are kept open. Once priority roads are clear, the team will look at side roads so that scheduled rubbish collections can still take place. Councillor Osman Dervish, Cabinet Member for Environment, said: “We have teams on stand-by 24 hours a day to make sure we keep the borough moving, in the cold weather. The Council has an arrangement with Compass Minerals – one of the largest rock salt providers in the UK – to be able to restock if and when needed, in order to keep the borough moving. Make sure to consider where you park on narrower side roads during adverse weather. If possible, only park on one side of the road so our gritters can get through. It will never be possible to cover every road and pavement in the borough, nor can it be guaranteed that surfaces are free of ice and snow at all times. Even when icy streets have been treated, they can still be dangerous. Residents are advised to take extra care, and in heavy snow only travel if you have to. In the event of heavy snow, rubbish and recycling collections may be affected. Individual roads or cancelled services will be publicised on the Council's website and Twitter. However, it's advisable that if waste and recycling has not been collected on a scheduled collection day, and the street or road appears to be have been missed, residents should continue to put out their waste and the Council will aim to collect when it's safe to do so. It is also important to keep warm in winter – both inside and outdoors. Keeping warm over the winter months can help to prevent colds, flu and more serious problems such as heart attacks, strokes, pneumonia and depression. Heat your home to at least 18C (65F). You might prefer your main living room to be slightly warmer. Keep active when you're indoors. Try not to sit still for more than an hour or so. Wear several layers of light clothes. They trap warm air better than one bulky layer.